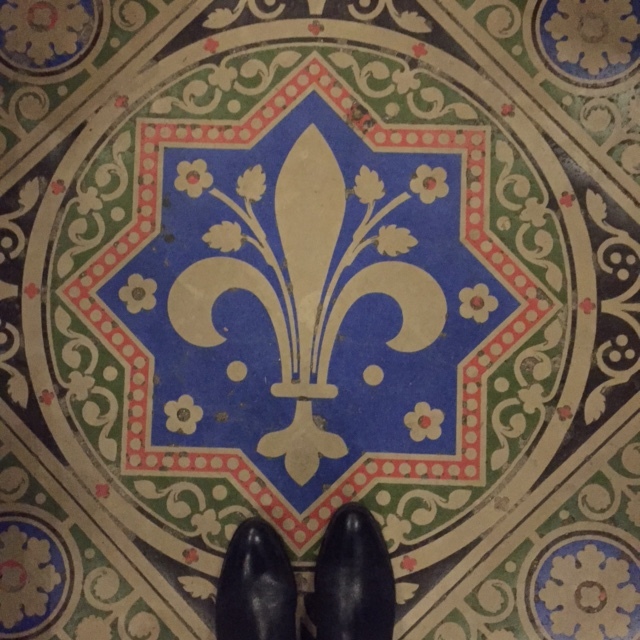 When I stand in various places, both abroad and home, I reflect on the art beneath my feet. I wonder: Who’s walked this path before? What are they like? 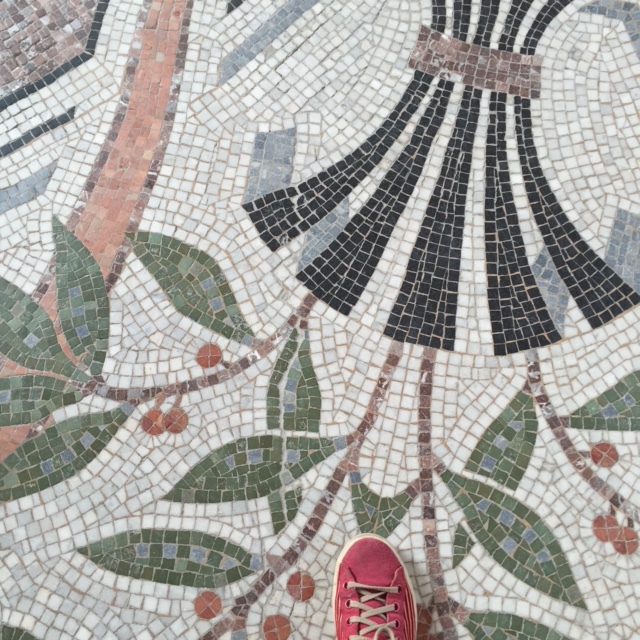 Who created the pathway, tiles, patterns? My imagination wonders, ponders, and notices the beauty below my feet. 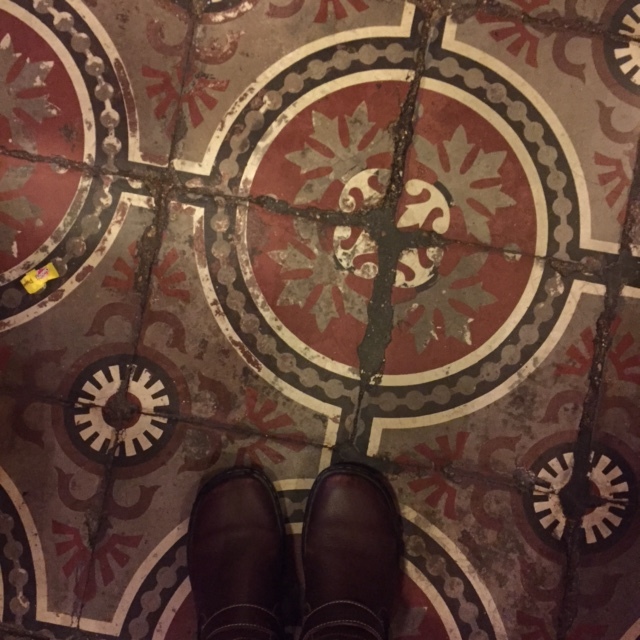 Recently I discovered I’m not the only one who enjoys shoes, patterns, and art on floors. 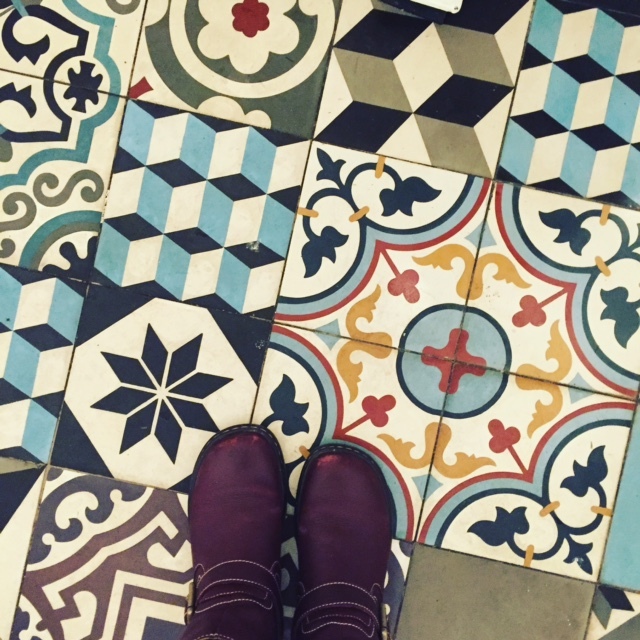 Search on Instagram and you’ll discover a number of hashtags: #ihavethisthingwithfloors #fromwhereistand #selfeet #interiordesign #shoes . 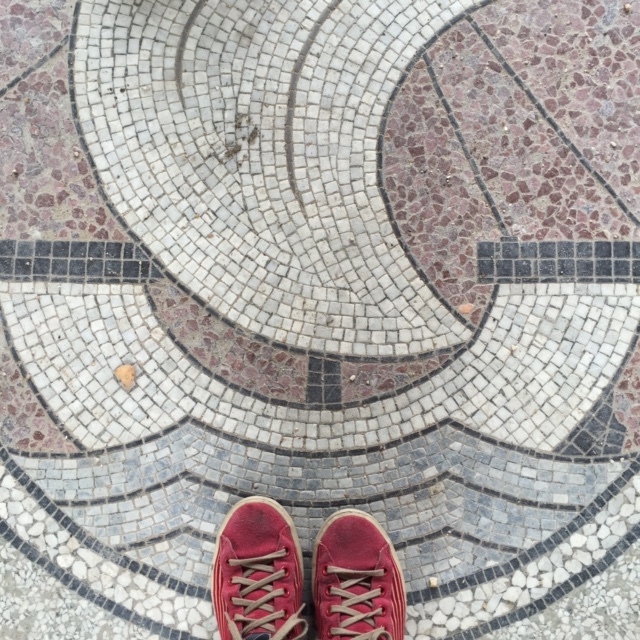 While SoulStrolling in Paris @parisianfloors, Instagram, came to my attention. A fellow lover of photography and all things related to floors. 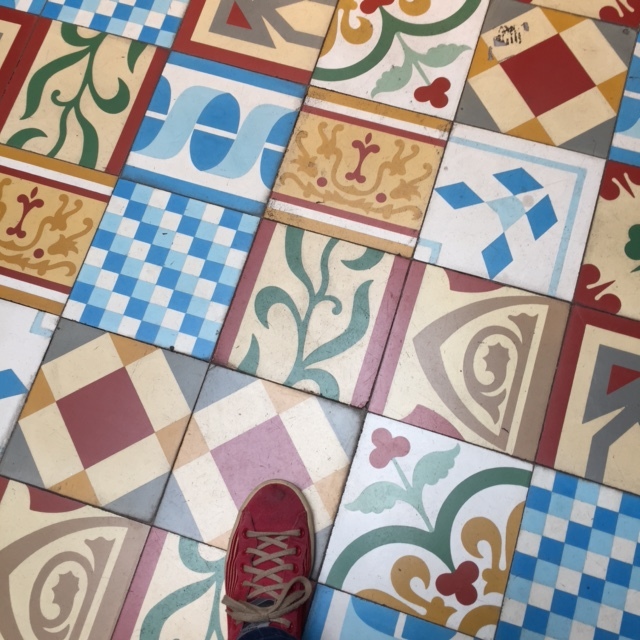 If you find yourself as intrigued, delighted and amazed by patterns, floor art, shoes and tiles, then please take a look. “The purpose is to be in the present moment and enjoy each step you make.” Thich Nhat Hanh. Pausing and taking in what’s below my feet helps me to be in the present moment. It’s a practice. To be present, savor beauty, pause, notice. The floor, path, walkway, ground, asks for my attention. The people who crafted what’s below my feet laid the foundation. They worked, crafted, created – their presence, like a perfumed fragrance, wafts from below – billowing a well of thanks and gratitude from my soul. The ground is holy, sacred. “Suddenly all my ancestors are behind me. ‘Be still’ they say. ‘Watch and listen. You are the result of the love of thousands.” My Mom visited Paris for the first time in 1954. A few years ago she gifted me a painting she’d bought by a local artist from Montmartre. As I stroll the streets and notice art on floors, she travels with me. I wonder where she’s been? Walked? Strolled? What adventures, encounters, did she experience? My grandmother, Tillie, strolled the streets of Paris at some time in her life, and her spirit goes with me as well. 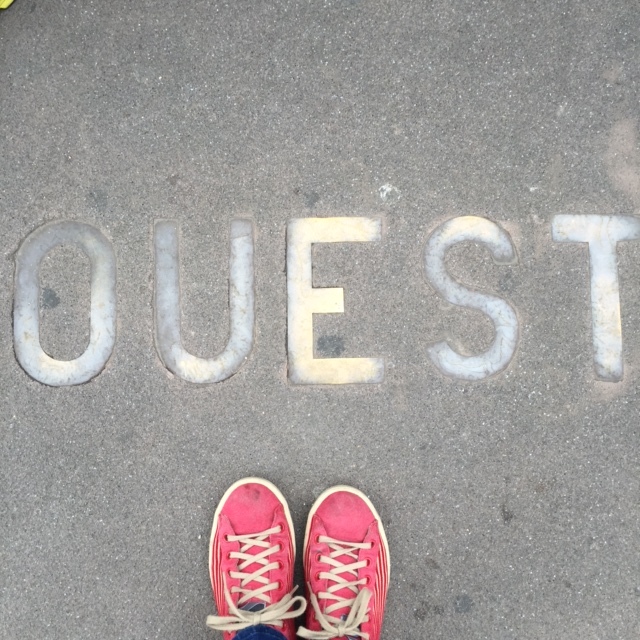 My ancestors pause, gaze, savor beauty, as my soles carry me from arrondissement to cobbled stone, bridge to narrow passageways, cafés to bistros, storefronts to pebbled paths. The ground comes to life and I am amazed. Do you like to notice what’s below your feet? 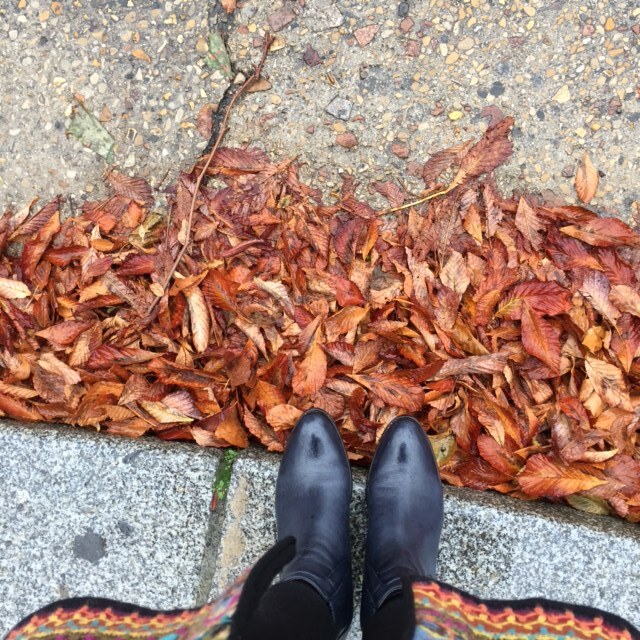 Take photos of your shoes and where you stroll? If so, please let me know.